… the more the fellow loses his bearings and hysterically showers abuse on his opponent. Yes, Mr. Jansson, we all know what the above verbiage means. It means another lame excuse for Jansson’s making a furious fuss about those of his opponent’s arguments he thinks he can make a furious fuss about, while ignoring those questions and arguments he’d rather avoid because he has no answers to the questions and no arguments to counter the arguments. As to the "has simply repeated himself without even acknowledging my previous refutation, and while pretending that I had not addressed an issue" - claim, and the bragging that I didn’t notice his "concise rebuttals", to ignore the most abusive mouthfuls of garbage, it's rather obvious that this is just the mendacious rhetoric of a charlatan trying to impress an audience of gullible fools, which he is likely to find among his "Revisionist" coreligionists but nowhere else. And as to "deliberately lying" (I didn’t know it was possible to lie unintentionally, by the way), it is worth remembering that the only one who has been caught arguing against better knowledge in our discussions is Jansson. Case in point, his omission of essential information in his source that was inconvenient to his argument, see the blog Jansson on 1942 births in Leningrad and it’s first update. Case in point, his putting into my mouth an argument I didn’t actually make and then heavy-handedly attacking it (i.e. slaying a paper dragon), discussed in the first update of the blog Friedrich Jansson proudly presents …. Considering the quote from Thomas Carlyle he hypocritically placed on his blog site, one wonders how Jansson can live with the stench of his own falsehoods around him. That said, let’s look at what Jansson has produced by way of arguments after his introductory rant. First of all, that argument is a non-sequitur, for the use of "Ausrottung" as meaning something other than physical extermination at a certain time would not preclude its use in the sense of physical extermination at a later time. Coming now to the specific passage (quoted by Muehlenkamp, taken from Langowski) that refers to an “assassination” of Jewish minority, one should first observe that such rhetorical excess is found throughout the chapter, for example in the reference to the “Golgothaweg” that the Jews are said to have walked. Evidently this did not mean that they had all been literally crucified – it’s just another example of Jews making opportunistic usage of a Christian language with themselves in the place of Jesus, for the purpose of the emotional manipulation of a Christian audience. Bingo, Mr. Jansson! I’m not referring to the anti-Semitic musings at the end of the above-quoted paragraph, but to the argument that references to crucifixion don’t mean the Jews had been literally crucified. Just like "extermination", "assassination", "slaughtering", "wiping out" and other expressions designating destructive physical violence, the term "crucifixion" can be used in a non-literal, figurative sense, like in Tori Amos’ Crucify. Now, does this change the fact that the term crucifixion, when used literally, designates one of the cruelest forms of killing ever devised? Neither does the use of figurative expressions like "you’re killing me" change the literal meaning of the term "killing". And if the term "Ausrottung", like "assassination" was used in Der Gelbe Fleck in a figurative, hyperbolic sense, that does not in any way change the literal meaning of "Ausrottung" when used to describe something done to a population or group of people. Jansson spends another paragraph on my assumption (based on Langowski’s referring to "die Autoren") that Der Gelbe Fleck was the work of several authors. Said assumption may be wrong, but that’s a minor issue in this context. The point is that, if whoever wrote Der Gelbe Fleck made a figurative, hyperbolic use of terms designating extreme destructive violence when used literally, such figurative, hyperbolic use in no way affects the literal meaning of these terms when describing something done to a human being or to a group or population of such beings. Having failed to make his point on the literal meaning of "Ausrottung" and its verbal forms, Jansson again (after the "little men and little women" quote discussed here) provides examples of "extermination" being used in a non-literal, figurative sense – as if that meant anything other than what I just said and changed the fact that "Ausrottung" or "extermination", when used in a literal sense to designate something done to a group or population of human beings, means nothing other than killing (in a literal sense) all or a substantial part of the members of that group. The complete normalcy of such linguistic usage refutes the argument that “exterminatory language” (like Vernichtung and Ausrottung) proves or offers decisive evidence for actual extermination (in the sense of across the-board killing). Finally, Muehlenkamp again complains that I did not quote chapter and verse for my allusion to the fact that the Luther bible used “ausrotten” non-homicidally, despite the fact that the text is online and searchable, so that he could find the passage with a little use of CTRL+F. He states that “this suggests that the Luther bible doesn’t support Jansson’s claim”. No fear, oh illiterate one: the passage does indeed support my position, and you’ll get a reference soon enough – when it’s convenient for me. Thus, it is evident that the bodies found in the car in Idaho could have been consumed by their own fire without someone else adding fuel. is not made with reference to Ettling’s carcass-burning experiments, especially the one in which a 170-pound ewe was largely destroyed in a fire fed by its own fat, after a fire fed by external flammables had failed to destroy the carcass. Not that it would matter much if Ettling had (rather unscientifically) made this statement without being supported by his experiments, as the interesting part of the article is Ettling’s observation/conclusion that the mentioned ewe carcass was largely destroyed in a fire fed by its own fat, and the parallel that this observation/conclusion incidentally brought to the investigator’s mind. But is Jansson right in that there is no connection between the experiments and Ettling’s above- quoted statement? As the first two paragraphs of the paper make clear, Ettling was investigating the question “If a body in a car fire is burned so thoroughly as to be difficult to identify, does this prove that extra fuel (beyond that contained in the car itself) was added to the fire?”. He answered this question in the negative: it is possible, under favorable conditions, for an ordinary car fire to burn a body beyond recognition. Ettling was NOT investigating the burning of bodies without any external fuel at all, and he was not investigating complete cremation, but merely burning to the point that identifying the corpse is difficult or impossible. 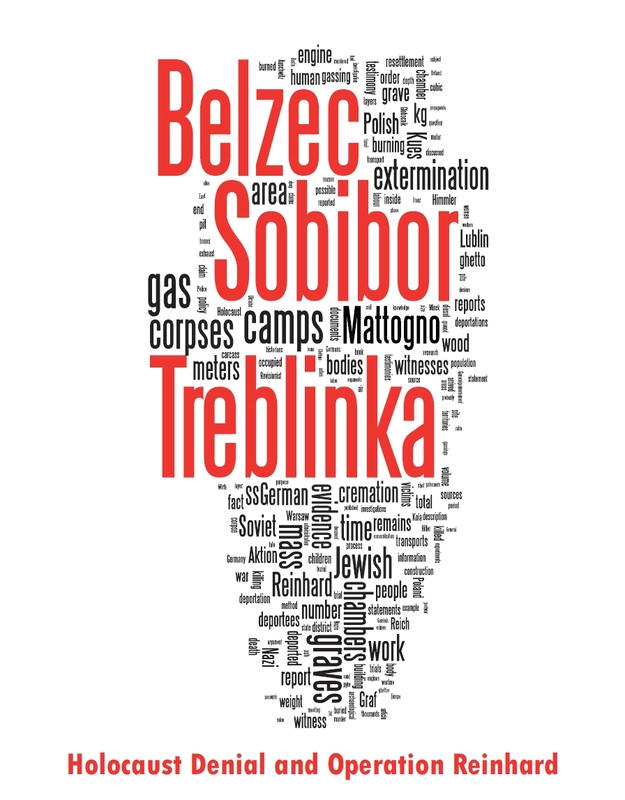 Now, Ettling did read Steiner’s “Treblinka”, which he appears to have assumed to be a factual account, and therefore did refer to true self-cremation – but only in the form of reporting what Steiner claimed happened at Treblinka. 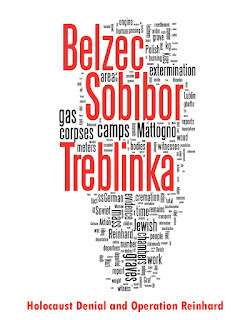 This kind of statement cannot be used to support Muehlenkamp’s beliefs on Treblinka, as it is not something supported by Ettling’s experiments, and would amount to saying “I believe that true self-cremation (or something similar) was possible at Treblinka because Steiner said so.” As for the argument that Ettling believed that Steiner’s account was factual – so what? Who cares? The issue is what experimental results say, not the personal beliefs of some arson investigator. Insofar as we are dealing not with Steiner’s claims but with Ettling’s actual experimental results, “consumed” refers to the kind of burning beyond recognition seen in Kamiah case, and “without someone else adding fuel” means “without fuel beyond that which is normally contained in a car fire”. As I have already shown, however, an ordinary car fire already contains large amounts of fuel, far beyond what Muehlenkamp thinks necessary for cremation. So we are asked to believe that Ettling spent much of a rather short scientific article, dedicated to reporting about the results of certain experiments and the implications that these results had on a possible forensic case, proclaiming "personal beliefs" about matters unrelated to said results and implications. Just how stupid does Jansson expect his readers to be? However much Jansson kicks and screams, the "Thus" at the beginning of the last sentence clearly denotes a conclusion derived from the findings mentioned in the first sentence of the previous paragraph, which happened to remind Ettling of a certain parallel case he had read about. b) the carcass had nevertheless been destroyed in a fire fed by its own fat, due to the particular position in which it had been suspended over that fire. c) therefore, the fact that the corpses had been burnt beyond recognition did not necessarily mean that someone had added fuel to the car fire, i.e. one couldn’t conclude on a criminal act from the fact that the corpses had been burnt beyond recognition. So arsonist Ettling’s message was that one could not conclude, from the fact that the corpses were burned beyond recognition, that there had been any foul play involved, like someone adding gasoline to the car fire. This because the corpses, like the 170-pound ewe in his second experiment, might have been rather thoroughly consumed in a fire fed by their own fat, even if, as both carcass-burning experiments suggested, the car fire itself had not significantly damaged the corpses. The investigator’s reasoning rendered above becomes so clearly apparent from the above-quoted passages that I would throw Jansson’s proverb back in his face if I didn’t know that his problem is intellectual dishonesty rather than mere stupidity. 3. Regarding the blog As Jansson continues producing junk …, first update, section 5. In response to my amplification that my information about burial density, Muehlenkamp – without checking the source which I gave – speculates that the graves were not completely filled, so that the capping layer was thicker than reported (contrary to its measurement given in the chart which I reproduced). How do I know that they’re talking about the actual space taken up by the carcasses? Because I actually read the report, not just the table which I reproduced, and consequently I can understand what information the authors are giving. I really can’t be bothered to respond any further to Muehlenkamp’s inane speculation about how to interpret something which he has not read. 4.3 Estimation of size of burial pits. • The carcasses are placed randomly in the pit, with a packing factor of 1.4 (equivalent to 30% porosity), to arrive at typical burial volumes of about 0.6 m³ for cattle and between 0.04 and 0.05 m³ per sheep or pig. However, practical experience at some of the mass burial sites suggests that in practice the volumes for sheep and cattle are greater than above and appropriately adjusted values are incorporated in Table 4.2, for herds of 100 cattle or 1000 sheep or pigs. The increase is attributed in part to carcass bloat, which effectively reduces the bulk density. The assumed bulk density of 0.9 g/cm3 is quite interesting, if one considers that one cubic meter equals 1,000,000 cubic centimeters. So if 0.9 grams of carcass mass could theoretically fit into one cubic centimeter, then 900,000 grams or 900 kg could theoretically fit into one cubic meter. - According to Table 4.2, whereby 100 cattle weigh 37.3 tons or 37,300 kg, one head of cattle weighs 373 kg. If one head of cattle typically occupies 0.6 m³, then the typical burial density for cattle is 373÷0.6 = ca. 622 kg per m³. - According to Table 4.2, whereby 1,000 sheep weigh 31.8 tons or 31,800 kg, one head of sheep weighs 31.8 kg. If one head of sheep typically occupies 0.04 to 0.05 m³, then the typical burial density for sheep is 31.8÷0.05 = ca. 636 kg per m³ to 31.8÷0.04 = ca. 795 kg per m³. - According to Table 4.2, whereby 1,000 pigs weigh 27.6 tons or 27,600 kg, one pig weighs 27.6 kg. If one pig typically occupies 0.04 to 0.05 m³, then the typical burial density for pigs is 27.6÷0.05 = ca. 552 kg per m³ to 27.6÷0.04 = ca. 690 kg per m³. So much for Jansson’s claim that my calculation whereby 663.40 kg of human mass can fit into one cubic meter is "a truly enormous error". To be sure, Table 4.2 points to the lower burial densities that Jansson makes so much of. However, it becomes apparent from Jansson’s source why the assumed density, calculated above after the data in that same source, is not considered achievable in practice: the carcasses are "placed randomly in the pit, with a packing factor of 1.4". This random placing obviously leads to unused space between the carcasses, which could be avoided if there was a packing team inside the pit arranging the carcasses in a space-saving manner and squeezing them together as tightly as possible – the way the corpses of murdered deportees were arranged and squeezed together in the AR camps’ mass graves. Thus it’s quite understandable that Jansson not only failed to provide the link to his source in his aforementioned blog, but now vehemently refuses (with his "I actually read the report" – affectation of superiority) to provide further information from the report. Not that it matters, but where did I write anything about the capping layer being thicker than reported, by the way? Exactly nowhere, I dare say. On top of again omitting information from a source of his that is inconvenient to his argument, Jansson also creatively misinterpreted one of my arguments once again. … remains unanswered by dodging Jansson. So Jansson rabidly filled much blogspace (and presumably bored the hell out of even his gullible and patient "Revisionist" audience) about what he considers an entirely marginal issue? That’s good to know. Such "deceptions", needless to say, exist only in Jansson’s infantile (and obviously self-projecting) accusations. … in support of his silly theory that I was unable to find one of his sources, couldn’t figure out his reasoning, but somehow by sheer luck and bizarre rounding practices happened to obtain information from his source nevertheless – already discussed here and here – Muehlenkamp is reduced to asking why I didn’t mention where I got the range 15-18.8. "Reduced", the fellow brags. Rather pathetically, as I had already asked that question in the previous update (before considering the possibility that my hunch was mistaken, and stating what this would imply), and Jansson ignored the question until I repeated it. That’s simple: first, because I was concisely summarising an opponents’ argument before proceeding to my own, and consequently placed a premium on brevity and efficiency (things which Muehlenkamp is incapable of attaining), and second, because it was obvious – anyone who was interested enough to look into the matter could figure it out quite easily. Muehlenkamp now says that he was ignorant of this matter himself; I will take him at his word, but in light of the close connection between the pages on the website in question this is like citing an appendix to a book but claiming that you are unaware of the chapter which that very appendix supplemented. Wrong comparison, as we are on the internet, where a search may lead you directly onto the "Gewichtstabelle nach BMI", or the weight tables’ cover page. As these contained or led to the data I was looking for, there was no need for me to link up one level. So much for yet another of Jansson’s self-revealing outbursts. I’m already looking forward to the next one, which will hopefully contain answers to the questions Jansson has evaded so far. Let's make an addition to Roberto's post on Jansson Crusade against the language. "Erradicación" and "extermínio" means killing, annihilation. "Sterminio"; Ausrotten means sradicare (Eradication, Genocide). Ausrottung nome feminino <-, -en> exterminação f., extermínio m.
Verb "Exterminar" means "To Exterminate"
Ausrottung means Anéantissement, both mean "Extermination".